Born in Portsmouth, UK, in 1971, Andrew McBirnie graduated from the University of Bristol in 1992 with first class honours in music, and subsequently studied at the Royal Academy of Music in London, obtaining London University's MMus degree in 1994, and the RAM's Diploma of Advanced Studies with Merit the following year. In 1997 he completed a PhD in composition at the University of London, with funding from the British Academy. Former teachers include David Penri-Evans, Adrian Beaumont, Michael Finnissy, Melanie Daiken, and, most importantly and influentially, Justin Connolly. His music has its origins in the mainstream tradition of the twentieth century, influenced in particular by composers such as Shostakovich, Stravinsky and Tippett, as well as more recent British composers such as Birtwistle and Turnage. There are also touches of jazz and popular styles. More recently, his interest in the post-Schoenberg American serial school has resulted in a more classically pitch-driven approach, although former pre-occupations with rhythm, gesture and timbre have by no means been discarded. 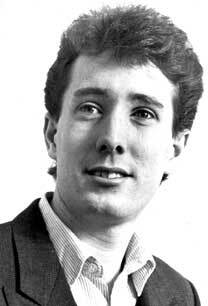 Andrew McBirnie's music has been performed widely in Britain, Europe, the US, Canada, Australia and the Far East, by artists and ensembles including the London Sinfonietta / Martyn Brabbins, the BBC Singers/Simon Joly, the BBC Philharmonic/Martyn Brabbins, the RAM Symphony Orchestra/Elgar Howarth, the Parnassus Ensemble/Peter Sheppard-Skaerved, Onyx Brass, Camerada, the violinist Dinos Constantinides, and the organist Paul Ayres. His music has been broadcast several times on BBC radio and television, and he was a finalist in the BBC Young Musician of the Year / Lloyds Bank Composer Award in 1993. The chamber opera The Rocking-Horse Winner (1996) was the subject of an academic paper given at an international conference at the University of Nottingham in July 1996, together with a performance of three scenes. In March 2002 a concert featuring four of Andrew's chamber works was held at The Warehouse in London. Two pieces have been issued on CD: the Sonatina for Brass (1995) was recorded by Onyx Brass on the Intim Musik label (IMCD 058), and the Variation for Joanne Johnson (1997) for organ was included on a CD by Paul Ayres (FAND 102). The Trio I (1988) is shortly to be published by Breitkopf & Hartel. Andrew spent the summer of 1995 at Tanglewood, USA, as a Fellow in Composition, working with Henri Dutilleux, George Perle, and Oliver Knussen. In 1998 he participated in the Advanced Composition course at Dartington, working with Peter Sculthorpe. Ensemble (1.1.1.1;1.1.1.0.pno.2.2.2.2.1). 1. Maestoso - Allegro; 2. Lento piangevole - Allegro; 3. Vivace - Moderato. For ensemble (cl/sax 1, cl/sax 2, flute/bass gt, trp, trb, vn, elec gt, piano, perc, drumkit). Composed for, and dedicated to, Tim Adnitt and Avenue A. For ensemble (fl/picc, alto sax/sop sax, cl/bass cl, piano, 2 vn, vla, vc.) Composed for, and dedicated to, Lisa Osmialowski and the Bennelong Ensemble. Cycle of four poems by Philip Larkin for soprano, piano and seven solo strings (2.2.2.1). Soprano solo, organ, percussion (two players). Words from the poem Apocalypse by Bethan Jones. Commissioned by and dedicated to Mme. Yvonne Loriod to mark the dedication of the Royal Academy of Music's new Van den Heuvel organ. Cantata for soprano solo, organ, brass (two horns, two trumpets, two trombones), two harps and percussion (4 players). Composed at the request of Mme. Yvonne Loriod. Clarinet in Bb, cello, piano. Oboe, violin, viola, cello. Duration: approx. 9 minutes. Composed February 1993. Violin, clarinet in Bb, piano. 12:08:95 by Tanglewood Fellows (Vivienne Kim, Derek Bermel, Naomi Niskala) at Tanglewood, Massechusetts, U.S.A.
Brass quintet (two trumpets in Bb, horn in F, trombone, tuba). Composed July - August 1995. Duration: approx. 12 minutes. 1. Allegro assai con spirito; 2. Lento; con tenerezza; 3. Moderato quasi allegro molto. Dedicated to Amos Miller and Onyx Brass. Bassoon and string quartet. Written for, and dedicated to, Aidan Twomey. For two treble recorders. Composed for, and dedicated to, Kathryn Bennetts and Peter Bowman. Recorders (one player - sopranino, descant, treble, tenor) and harpsichord (or piano). Clarinet in Bb and piano (with additional piano on pre-recorded tape). Cello and organ. Commissioned by and dedicated to Faye Clinton, with funds from the Ralph Vaughan Williams Trust. Versions for violin and piano, and flute and piano. 1. Quasi improvisato; 2. Con molto espressione; 3. Scherzando; 4. Calmato. For piano solo. Written for, and dedicated to, Kate Ryder. To contact Andrew please e-mail Email.